At the CES tech show in Las Vegas, all the leading TV manufacturers have revealed their new line-ups for 2018. We’ve had a good look at the new technology and features you can expect. We’ve seen 8K sets, folding screens and a modular TV from Samsung that comes in all shapes and sizes. Possibly with the exception of Samsung’s 8K TV, these aren’t necessarily the TVs you’ll be buying – unless your lottery numbers come in. So we’ve chosen some more reasonable sets to highlight here. Here’s our pick of the TVs that will be lining shops’ shelves come spring. Television reviews – our in-depth verdicts of sets you can buy today. The gargantuan, 146-inch Wall TV aside, the Q9S sits at the top of Samsung’s 2018 range. It will be Samsung’s first widely available 8K TV and it will be available in 65, 75 and 85 inches when it releases later this year. 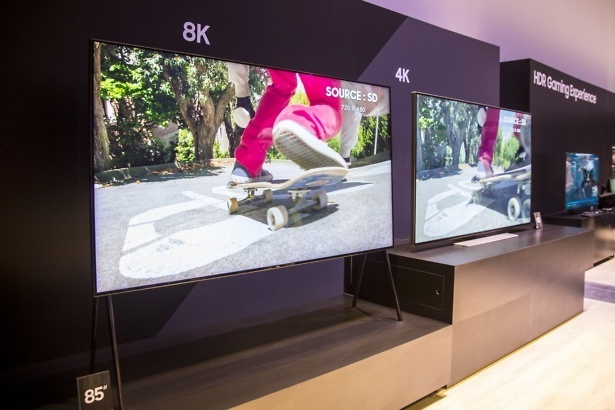 There isn’t much 8K content around, which is where the AI component of the TV comes in. 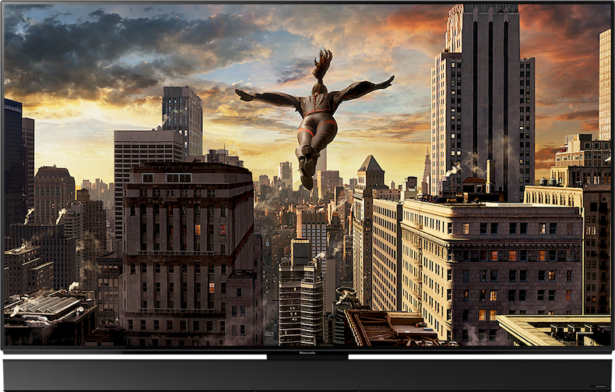 The Q9S intelligently upscales standard definition, HD and 4K content to 8K. It won’t look as good as dedicated 8K video but, having seen the TV in action, there is a noticeable improvement in clarity, detail and sharpness, particularly with standard-definition video. The AI isn’t the end of this TV’s smarts. It’s the new heart of the Samsung smart home. Along with Samsung’s new appliances, the Q9S has Samsung SmartThings built in. That means you’ll be able to control a wide range of smart tech, not just first-party devices made by Samsung. It supports Bixby voice commands, too, so you won’t need to use the TV’s remote to control your smart tech. It’s not just QLED TVs that have Bixby either. Samsung’s 7, 8 and 9 Series TVs will have voice control, too. Visit our rundown of Samsung TVs at CES 2018 to read more about the brand’s new sets and watch our video. Visually, LG’s premium OLED hasn’t changed much. It’s still paper-thin and bendy because LG has stuck with the same design as its 2017 Signature TV. It has a sound bar that sits as a separate unit below the TV, and which houses most of the W8’s components. It’s a beautiful design, so we don’t blame LG for sticking with it. The big changes are under the hood. 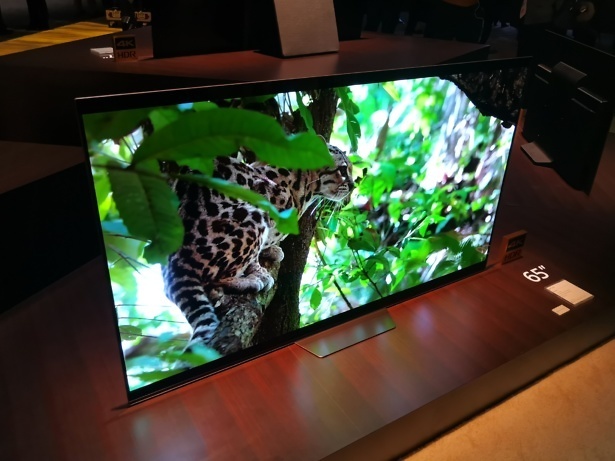 There’s a new Alpha 9 processor along with nano cell technology, which LG says provides more natural, realistic colours even if you’re sitting at an angle to the TV. Only the range-topping OLEDs get the new chip. The cheaper OLEDs and LG’s UHD TVs have the A7 processor instead. It’s a shame that LG couldn’t put the more powerful chip into all of the OLED TVs. If those sets get cheaper as a result, though, it may be worth it. The OLED TVs from Panasonic, Sony and LG in 2017 were very expensive, so a mid-range, affordable OLED TV would prove popular. 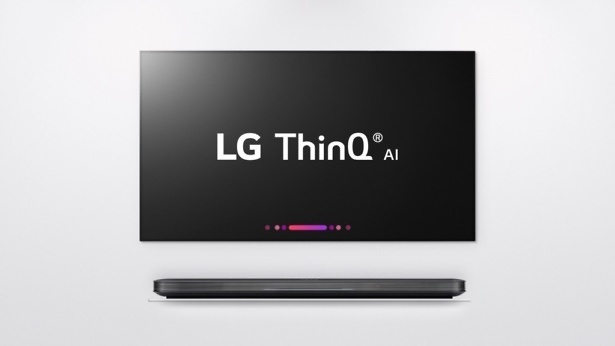 Like Samsung, LG is also putting its new TVs at the heart of the smart home with new ThinQ technology. It allows LG appliances to talk to each other as well as other smart tech using Google Assistant and Alexa. Google and Amazon’s voice assistants come built in to the US OLEDs, but in the UK you’ll need to buy the hub separately, which is frustrating considering the likely steep price of the W8. The battle for the king of TVs will be hard-fought in 2018 – find out how the top dogs fare today in our guide to Samsung vs LG TVs. 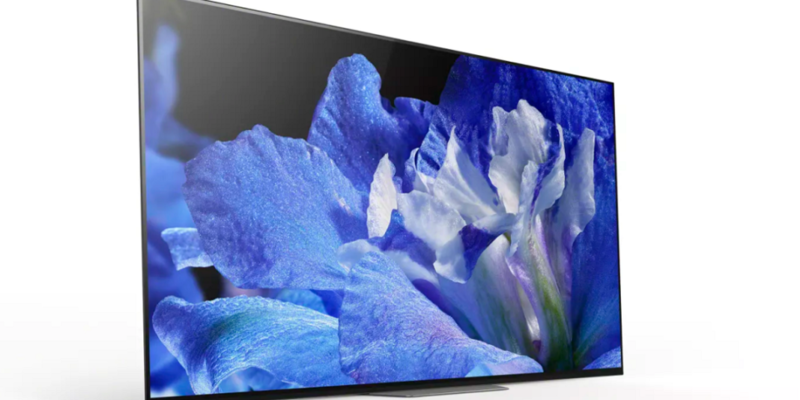 Sony was so happy with the 2017 A1E OLED that it has kept it in the range for 2018. Indeed, the TV took pride of place among the new 2018 OLED at Sony’s press conference. The AF8 then is more of a companion than a replacement to the A1E. It still uses Sony’s acoustic surface to create sound by vibrating portions of the screen. Rather than sitting on a huge A-frame stand, it has a small thin silver one instead. This means the TV will be much easier to wall mount. Sony had to add the woofers into the main body of the TV in order to get rid of the A-frame stand. Hopefully this won’t affect sound quality. There were some new LCD sets alongside the OLED TV and both display types benefit from Sony’s new X1 Extreme picture engine. We’ll see how much of a difference the new processor makes when we test the TVs later this year. Watch our video above to see all the Sony TVs at the show. Panasonic is doubling its OLED output in 2018 by going from one, the TX-EZ952B, to two, the FZ800 and the FZ950. Both TVs feature a striking new design. The main display is attached to a wedge sound bar by a narrow piece of metal. Moving the speakers to a separate bar is something LG does with its Signature OLEDs and will hopefully lead to better sound for these two Panasonics. The big new feature on these TVs is the ‘Dynamic LUT’. LUT stands for look-up table and it corrects colour, contrast, brightness and saturation. The TV will refer every image on screen to this table to improve the quality of what you’re watching. Panasonic has created this to complement HDR (high dynamic range), but also to fix some of the problems HDR can bring. Our testing has found that HDR can sometimes impact the way colour is displayed, making it too warm, or saturated. Hopefully, Panasonic’s new dynamic LUT will address some of the colour inconsistencies and get the most out of HDR content. Speaking of HDR, a new format has been added. HDR 10+ now sits along HDR 10, HLG and Dolby Vision. Having different formats is confusing, but Samsung and Panasonic are both supporting this latest format. If more manufacturers start reading from the same hymn sheet, the confusion as to what TV supports what type of HDR could be a thing of the past. Baffled by TV jargon? Our guide to TV technology explained lays it out in plain English. There’s OLED, QLED and Hisense does ULED. The U doesn’t stand for ultra either, it’s just a blanket term for a range of proprietary tech that Hisense puts in its TVs. The H10E is one such ULED TV and sits at the top of Hisense’s 2018 range. Hisense has thrown everything at this TV. It has both Alexa and Google Assistant voice support, which seems pointless, but if you’re already invested in one ecosystem it would be confusing to say ‘Alexa’ to rouse an Echo in your kitchen and then ‘Hey Google’ to talk to your TV. In terms of its display, the H10E uses quantum dot technology for a wider colour gamut, and it supports HDR 10 and Dolby Vision HDR. It’s not OLED, but the new flagship TV has a solution to provide deeper blacks. It has no fewer than 1,056 dimmable zones on its backlight, which means it can be more precise about which areas of the screen are lit. This should lead to less bleeding of colour in darker scenes and crisper more detailed blacks. Hisense TVs’ specs often look good on paper, particularly as the company undercuts more established rivals with pricing, but they don’t always deliver in our test lab. Will 2018 be the year this changes? We’ll find out when we put these new TVs to the test. 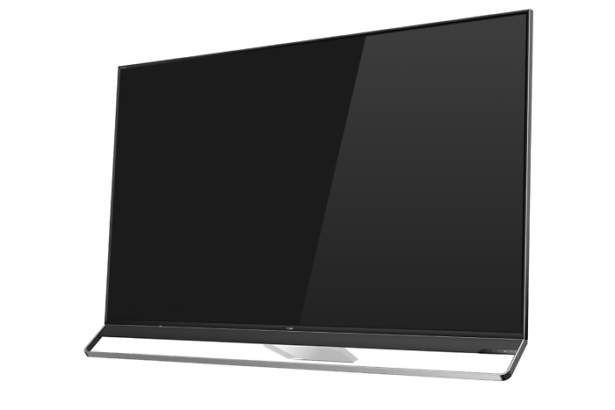 Browse the best of the current crop in our guide to the Top Five TVs you can buy right now.